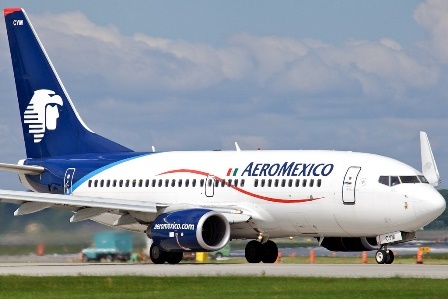 Aeroméxico announced that starting in September it will resume its daily international direct flight from Merida to Miami with timetables to be determined. Currently flights from Merida to Miami are made with stopovers in Mexico City, Houston and Dallas, Texas by United Airlines, American Airlines and Aeromexico. After announcing that Aeromexico will celebrate 82 years of serving Mexican and international skies, Jorge Goytortua Bores, executive sales director, said that the celebrations presenting this new frequency will include that city in the United States. “From September Aeromexico will continue to grow and continue to grow at a frequency to Miami, which will be daily, and will join the four already (weekly flights) to that city,” he said. At the official presentation of the new direct flights Merida-Guadalajara-Monterrey, the Aeromexico executive said that this new international flight is a joint effort involving the state government, the city of Merida and Yucatan entrepreneurs. For his part, Secretary of Tourism, Saul Ancona Salazar, said that the new daily flight to Miami, is a longstanding request of the inhabitants of the city of Merida and Yucatan. “Always Miami has been a traditional destination of the Yucatan and the peninsula, which can be expanded to a daily flight to that destination so that connectivity has been strengthened. An airline does not place a flight just because you have left over a plane, it’s because the airline sees business opportunity and take profits,” he said. The state official said that the flight will be 99 seats in an Embraer 190 aircraft, 11 of those seats are Premium Class. A round-trip Miami-Merida flight costs between $459 and $700 USD on average in economy class.